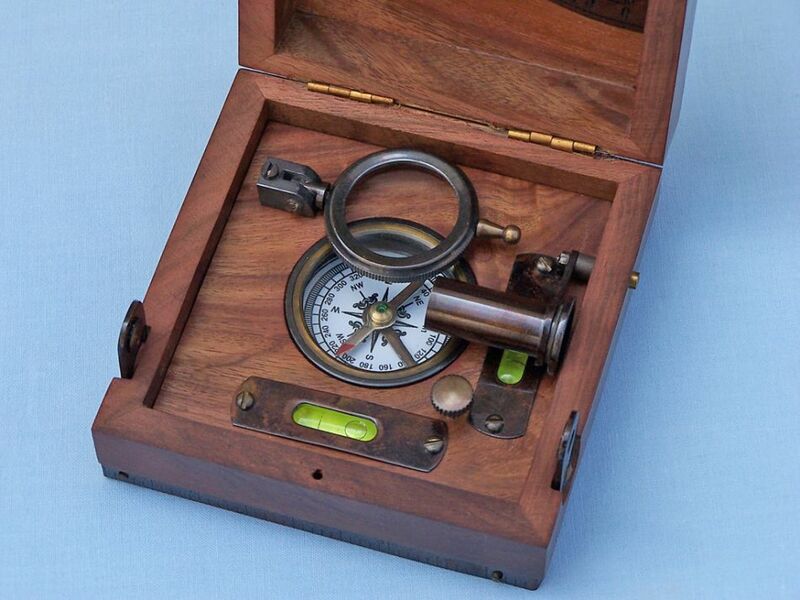 This finely handcrafted marine box features a number of the items every ship navigator or enthusiast needs for a complete collection. The box itself is made from real Shisham, a rare hardwood reserved for luxurious nautical items such as these. 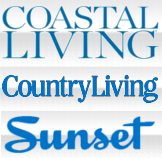 Place this marine box on any desk, table, or shelf to add an artfully crafted piece of nautical decor to any collection. Inside the marine box an exciting array of nautical instruments awaits. Two perpendicular bubble levels indicate whether the box is laying on a perfectly flat surface, perfect for any seafaring vessel. 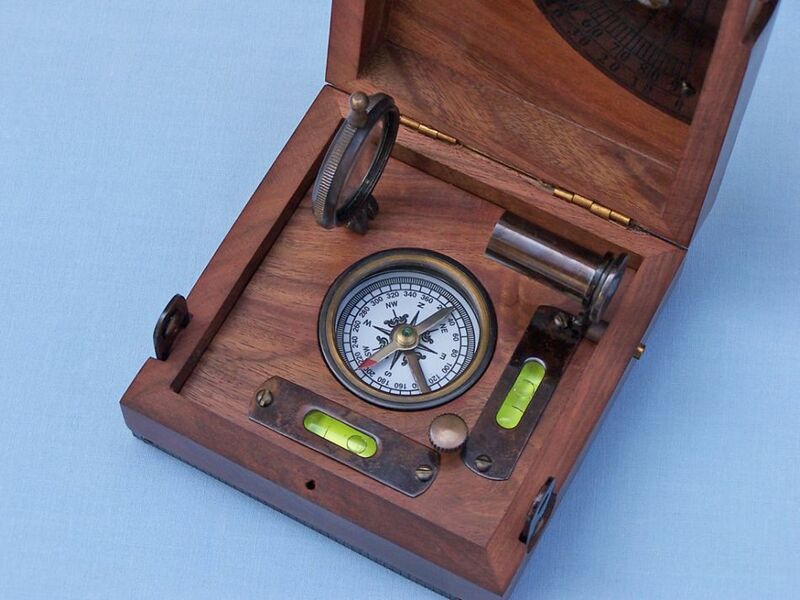 Also embedded in the bottom of the box is a functional high quality compass - a must have for any nautical enthusiast. 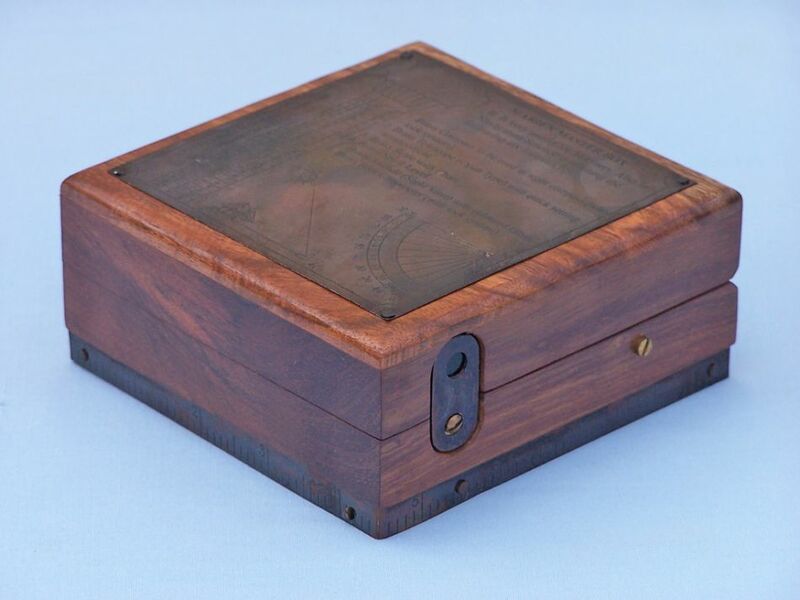 To complete the set, the box also features a magnifying glass and an alidade, critical instruments for navigating any ship. 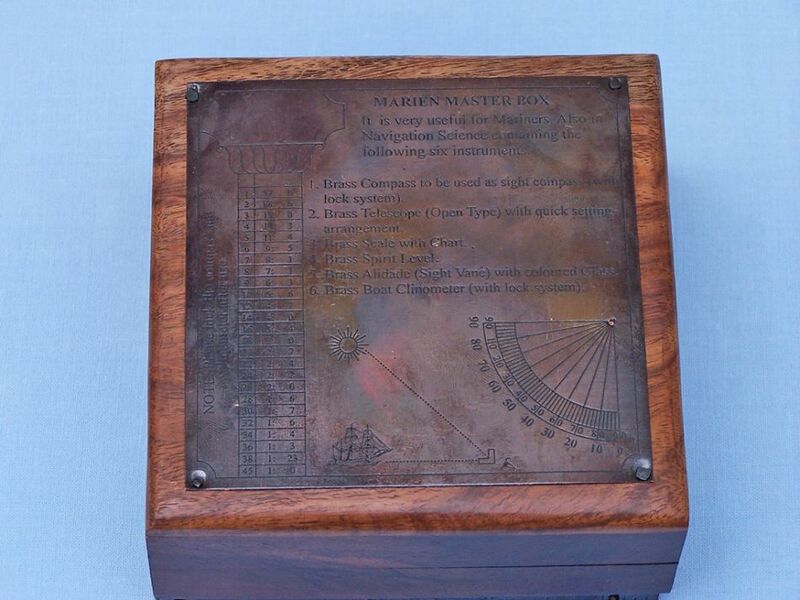 First developed in China, the marine compass has become one of the most important tools in history. Discovering that a needle magnetized by a piece of lodestone would always point North or South, the basic idea of the compass emerged and within the next hundred years the Chinese began using the nautical compass to navigate at sea. By 1300 the compass, much like these marine compasses for sale, had reached Europe where it would come to truly change the world. 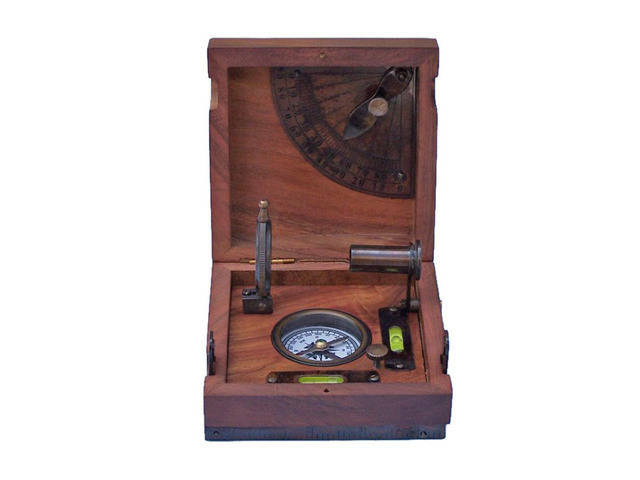 In order to function, each of these marine compasses for sale needs a small, lightweight magnet, and a virtually frictionless point to pivot on. The Chinese used a silk thread or piece of cork floating in water for the pivot, and magnetized a needle by rubbing it across a piece of hematite, or lodestone. The naturally magnetic properties of the lodestone cause electrons, rotating in pairs around every atom comprising the needle, to align their movements and spin in the same direction. This matching spin creates a flow from positive to negative, much like the flow of an electric current, and the needle is magnetized. In non-magnetized objects the electrons physically pair up so that they are spinning in opposite directions, resulting in a net magnetic charge being zero. Like a tiny bar magnet, each rotating electron creates an electrically charged magnetic field, with magnetic poles, in what is called an orbital magnetic dipole moment. 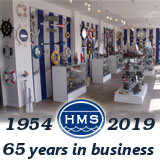 With all of its electrons rotating in harmony, the needle will react to the Earth’s magnetic field, and these marine compasses for sale become functional.